Marketed as “the softer side of the highlands”, Tomatin Distillery uses the soft water of the Alt-na-Frith burn to create mellow, fruity whiskies. The 12 year old Tomatin aged in bourbon and sherry casks is an excellent example of their mission to showcase “the softer side”. The very sweet nose has fresh floral tones and vanilla notes. Lots of vanilla. In the mouth, it’s very smooth, making it easy to drink. The simple flavours meld together – not complex at all – creating an easy, sweet palate. It finishes dry, tingling on the tongue for a few seconds without lingering. 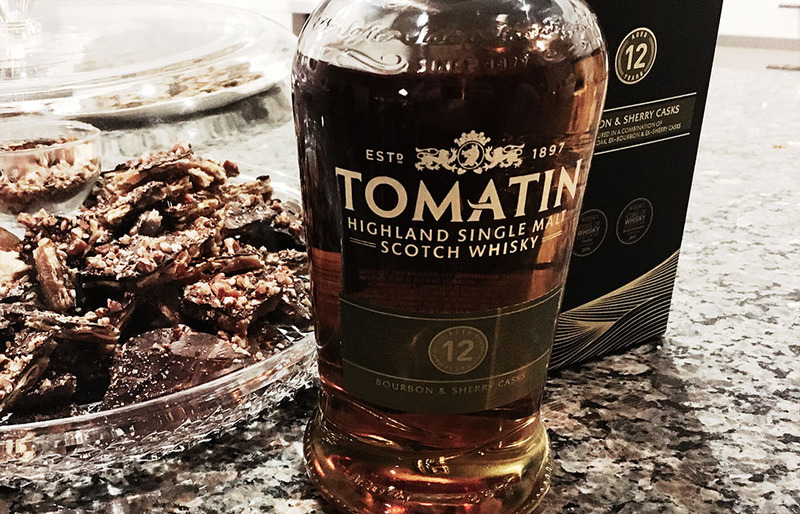 The abrupt end leaves you going back for more, since you miss the iconic lingering finish of a scotch whisky. It’s a great highland single malt. Though if you’re looking for peat or smoke, go elsewhere.